Provide comfort for the family of Reta Drennan with a meaningful gesture of sympathy. 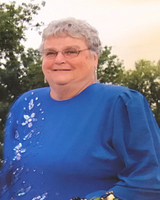 Reta Ethel Mary Drennan formerly of Thedford was surrounded by her family on Sunday evening, March 31, 2019 at Craigwiel Gardens in Ailsa Craig where she passed away peacefully. 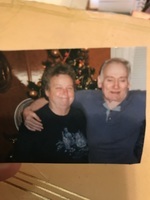 The loved partner of Bob Mohring originally of Goderich for 25 years before his passing, Reta later found love again with Warren Moloy of Thedford. 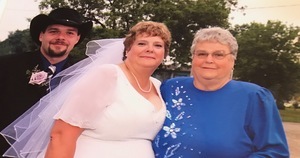 Reta was the much-loved mother of David (Sue) Wilson, Laurie (Tom) McChesney, and grandmother to Bill (Mary) Wilson, Tom (Kelly) Eddy, Matt Wilson, Tabbie Sandy, Melissa (Shaun) Wilson, and 5 great grandchildren. Reta is survived by her brother Charlie Drennan, and son-in-law Bill McAllister. 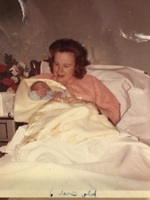 Predeceased by her daughter Doreen McAllister and her parents, Mary and Russell Drennan both of Goderich. Reta loved her cats Maggie and Mugs and enjoyed much of her time volunteering even receiving the Lieutenant Governor General Award for her volunteer work with the Alzheimer society. A visitation will take place on Sunday, April 7, 2019 from 12pm-1pm, followed by a service at 1pm at Gilpin Funeral Home, 99 Victoria Street in Thedford, 519-296-4964. Interment to take place at Pinehill Cemetery. Donations are appreciated in Reta’s name to Diabetes Association.